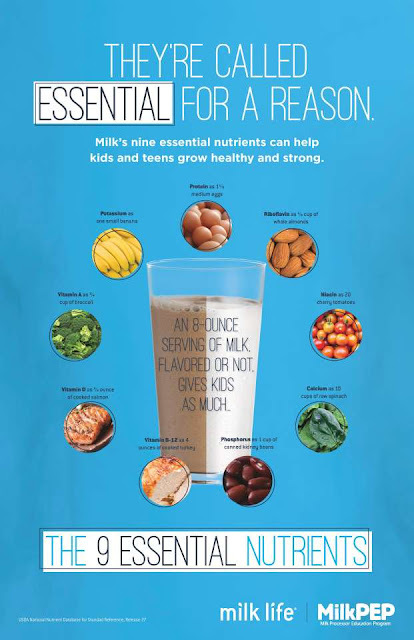 Kimmi's Dairyland: Dairy FAQ: Do we really need to drink milk? Dairy FAQ: Do we really need to drink milk? I hear it a lot. Is milk really a necessary part of our diet? Can’t it be replaced with something else? Maybe soy juice or something? If you’ve asked yourself if milk should be in your diet, you’ve come to the right place. First of all, I’m not here to dictate what should and should not be part of your diet. We are lucky in this country to have so many choices in the food we consume and also that it is so affordable. That’s not always the case in every area. Milk is a very efficient way to get many nutrients our bodies need every day. I’m a runner and stay pretty active, so I know how important it is for me to consume enough protein. Milk and cheese help me meet this requirement. Since I’m not much of a breakfast person, I drink chocolate milk on my way out the door every morning. It tastes great and has 8 grams of protein to help my muscles. Muscles are important when you’re active, but you can’t forget about your bones. Without them, we don’t have much. Calcium helps to keep them strong. Conveniently, calcium is one of the nine major nutrients found in milk, along with Vitamin D, which aides in calcium absorption. Click here to see how much calcium is in various foods found in many fruits, vegetables and dairy products. I love that there are so many choices in the dairy case. There are also lactose-free options. I also love that milk is one of the safest, most regulated products available. Dairy farmers and everyone else throughout the dairy supply chain works extremely hard everyday to keep it this way. Food safety (along with animal care and taking care of the environment) are top of mind. Without a safe product, we have no livelihood and really no farm, so this will always be important. Most milk is also local. To learn where your milk comes from, check out this post. If you look at the alternative milk beverages like soy juice (soybeans don’t have udders, so I refuse to call it milk) and other options, they are lacking in the complete nutritional profile that milk has. Sure, they may have one or two of the same nutrients and some may be fortified with calcium, but it’s important to look at the complete profile you are getting for the calories you are consuming. Or that’s important to me anyways. I’d rather not waste calories on something that isn’t giving me a lot of nutrients. Click here for more information about how milk stacks upagainst those other alternative milk beverages. Long story short, do we absolutely need milk? I say yes, but it’s all about choice. If someone would rather eat a lot of broccoli to meet their calcium requirement, more power to them. I’ll stick with my chocolate milk with breakfast and cheese on my salads.